Tecno Camon 11 Pro Vs Xiaomi Redmi Note 6 Pro, which is the mid-range king. Tecno recently launched the Camon 11 Pro and its one of their latest upper mid-range device. This smartphone has cool specs and its the higher variant to the Camon 11 and an upgrade to the X Pro. This device is also very affordable. 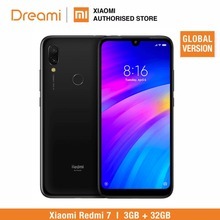 However, we will be comparing it to the mid-range king by Xiaomi. This smartphone is an higher variant of the Note 5 Pro and it has cool upgraded features. Let’s find out more about them. The 11 Pro comes with a metal and plastic body. This smartphone has a notch at the front and its the first Tecno device in Nigeria and Kenya to have such feature. This device has a rear-mounted fingerprint scanner and Face unlock. While the 6 Pro comes with an aluminum alloy body, the smartphone has a front and back gorilla glass panel and it also has a notch on its display and a glossy finish. The 11 Pro sports a 6.2-inch HD+ IPS LCD capacitive touchscreen with a resolution of 720 x 1520 pixels, the screen has a pixel per inch density of 271. While, the 6 Pro sports a 6.26-inch FHD+ IPS LCD capacitive touchscreen with 1080 x 2280 Pixels in resolution and 403ppi. Have You Seen This? Infinix Note 5 Vs Note 5 Stylus: Apart From The Stylus Pen, There's More! The 11 Pro houses a MediaTek Helio P22 (MT6762) chipset with an octa-core processor clocking speed of up to 2.0GHz. The smartphone has 4GB RAM and 64GB storage space. While the 6 Pro houses the Qualcomm Snapdragon 636 chipset with octa-core processor clocking at 1.8GHz. In the RAM department, the 6 Pro has 4GB/3GB and 64GB/32GB storage space. For the Software, the 11 Pro runs on the Android 8.1 Oreo. While the 6 Pro runs on the Android 8.1 Oreo operating system. The 11 Pro has a rear dual camera setup of 13MP + 5MP and a front/Selfie camera of 24 megapixels. While the 6 Pro has a rear dual camera set up of 12MP + 5MP with a great front camera of 20MP + 5MP and aperture of f/2.0. Powering the 11 Pro is a 3750mah Non-removable Li-lon battery with fast battery charging. While the 6 Pro is powered by a 4000mAh Non-removable battery Li-Po with fast charging as well. Both smartphones perform excellently well and they have amazing features. However, I think the Redmi Note 6 Pro is a bit better than the Camon 11 Pro . Previous articleHuawei Enjoy 9 with Snapdragon 450 and 4GB RAM launched! Next articleXiaomi Mi 8 SE Vs Redmi Note 6 Pro: Snapdragon 710 or 636?